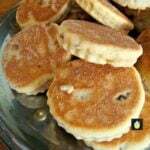 Welsh Cakes, an old family recipe, traditionally served warm, simply with a little butter on the tops! 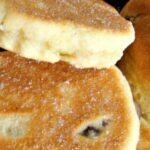 Welsh Cakes – An old family recipe, traditionally served warm, simply with a little butter on the tops! I grew up eating Welsh Cakes. 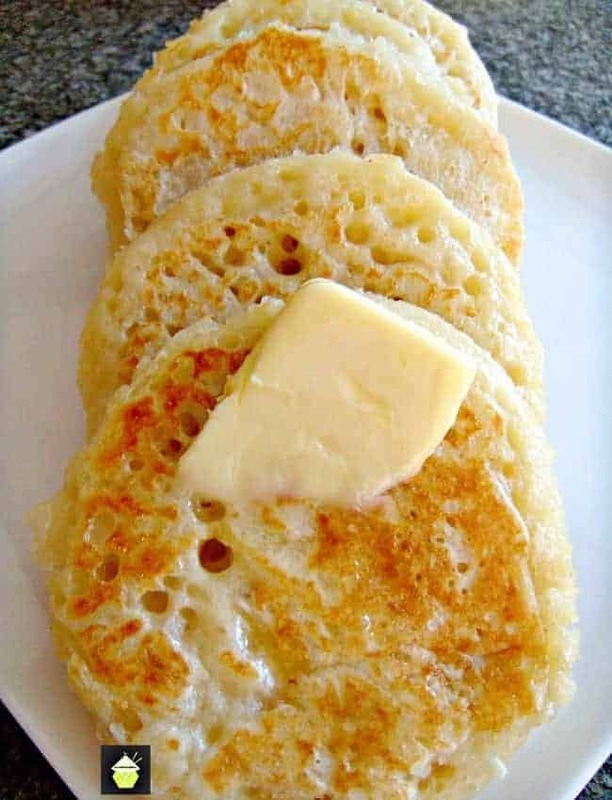 My Welsh grandmother would often make them using her very heavy cast iron griddle pan, and I would eat them as fast as she could make them, spreading some lovely Welsh butter on the top and simply enjoying them. 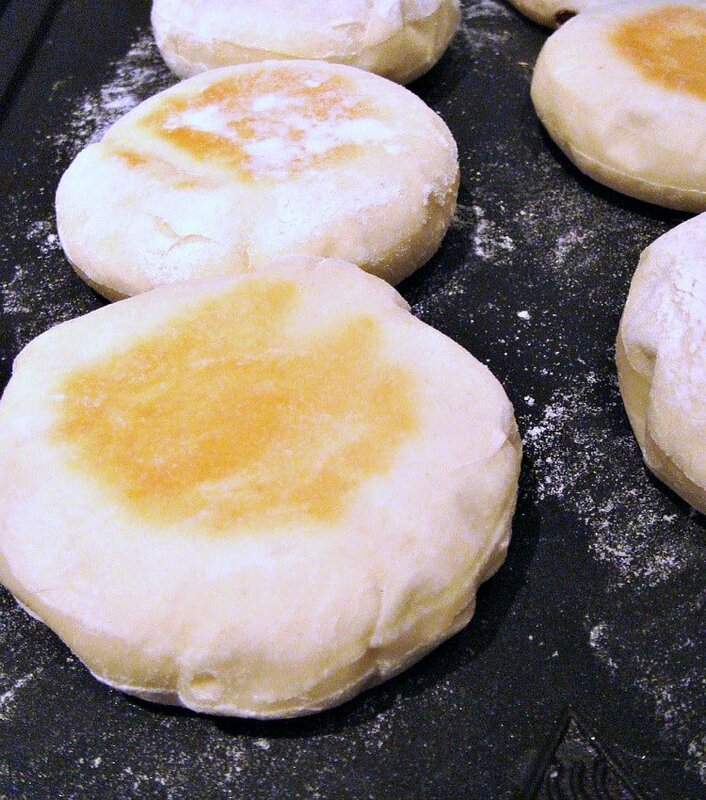 The cakes are also known as bakestones within Wales because they are traditionally cooked on a bakestone , a cast iron griddle about 1.5 cm or more thick which is placed on the fire or cooker; on rare occasions, people may refer to them as griddle scones. I’ve managed to get the recipe for these via my cousin, who had the recipe from her mother, who in turn had it passed down from my ‘Mam’, or our Welsh Grandmother. So now, here it is! 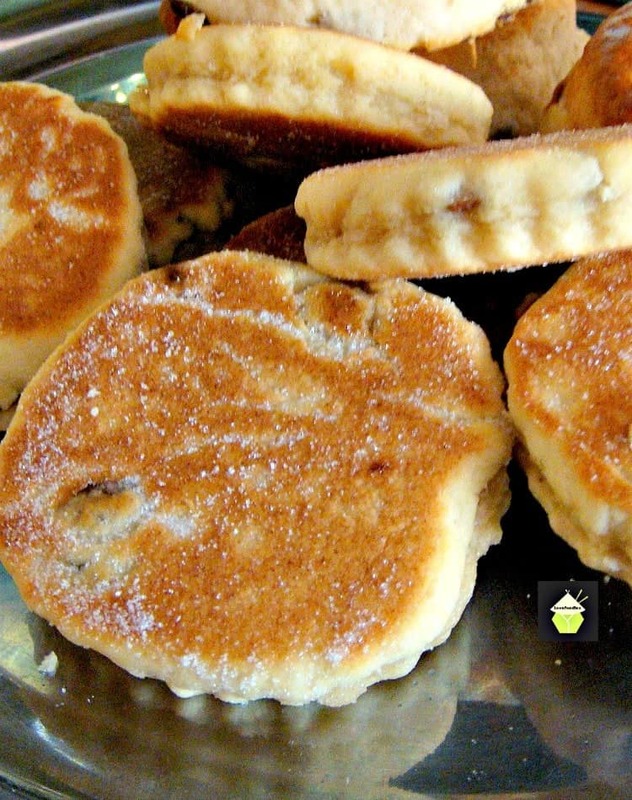 The famous and much loved recipe for Welsh Cakes! Please enjoy them as much as all our family have done through the generations. 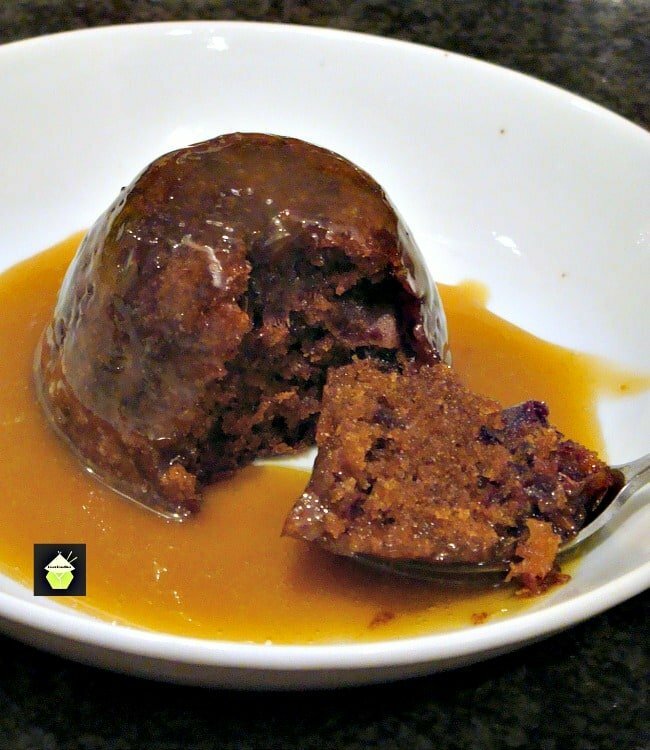 Recipe from ‘Mam’, Grandmother to many of our Lovefoodies recipes! 2 Tablespoons milk to mix. ** If you choose to use baking powder instead of Self Raising Flour, be careful not to add too much in case you taste the baking powder. I don’t want you to spoil the delicious flavour of the Welsh Cakes! 1. Mix flour and salt, rub in margarine, stir in sugar and currants. 2. Mix to a fairly stiff dough with the egg and milk. 3 . 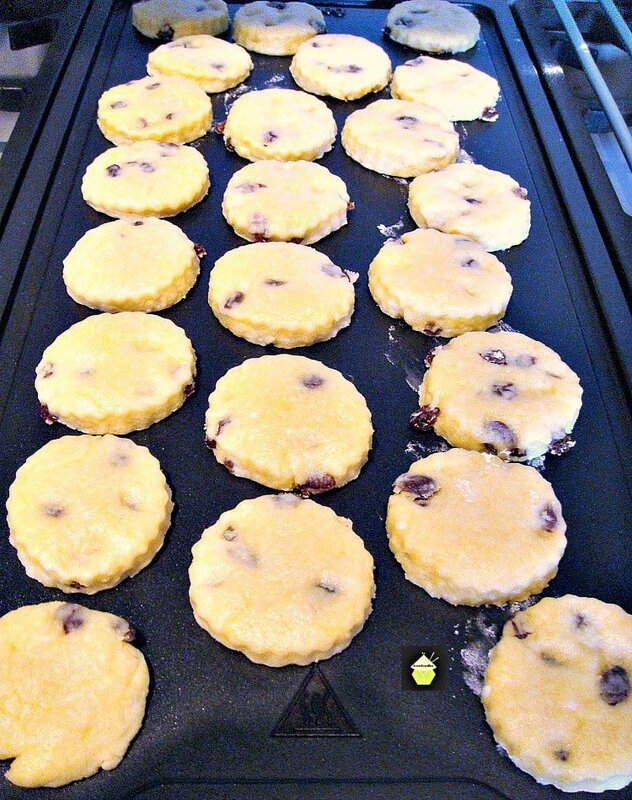 Roll out about 5 mm (¼ inch) in thickness and cut into rounds, (use a 6.5 cm or 2 1/2 inch cookie cutter) Gather up the trimmings and re roll to make more Welsh cakes. 4. Cook on a medium hot greased griddle pan for about 3 minutes on each side. Place the hot Welsh cakes on some sugar, both sides then serve buttered, hot or cold. ***** Make sure your griddle / skillet / fry pan is well greased, and to tell if it has reached the correct temperature, sprinkle some water on it and if the water jumps about in balls, evaporating, then it’s hot enough! Here are a few more lovely recipes for you to enjoy! Mix flour and salt, rub in margarine, stir in sugar and currants. Mix to a fairly stiff dough with the egg and milk. Roll out about 5 mm (¼ inch) in thickness and cut into rounds, (use a 6.5 cm or 2 1/2 inch cookie cutter) Gather up the trimmings and re roll to make more Welsh cakes. Cook on a medium hot greased griddle pan for about 3 minutes on each side. Place the hot Welsh cakes on some sugar, both sides then serve buttered, hot or cold. I just asked Siri “how do you eat a Welsh cake?” because….don’t gasp, bakers!….I have discovered these for the first time in a grocery store, today. (I’m from the USA but living in the UK.) There were no suggestions whether to heat them, for example. This site looked the most promising, and it was! Your posted comments have taught me about this cherished family treat, and that they are best enjoyed just after cooking! And now I have the recipe 😉 Thank you all! Hi Angie, So glad Siri helped you find us! Just a word of warning, if you’ve seen these Welsh cakes in the supermarket, I can tell you now they are sooooo dry! Obviously try them if you wish, but don’t let them put you off making them yourself with our recipe. You will definitely notice the difference. I’ve tried them all, from Tesco, Asda, M&S etc and still, dry! So please do make your own, serve warm as they come off the stove and add a spread of butter. You can also add jam if you wish, but butter is usually enough for you to enjoy! Thanks for writing in! Are the currants/raisins necessary? I don’t like raisins. Hi Alexis, you can leave them out altogether or swap with something like chopped dried cranberries. 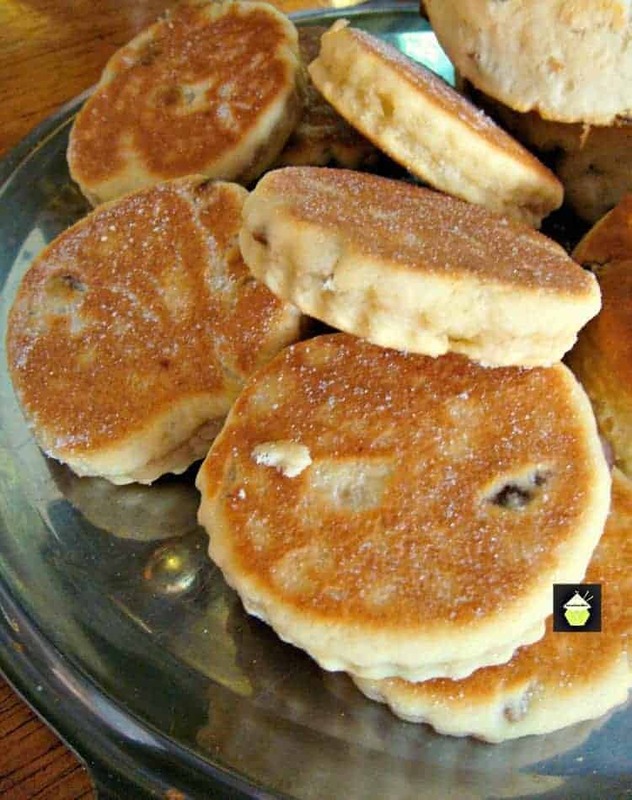 The currents/raisins are characteristic of a Welsh cake but you can make them to suit! Esmi-the pattern on the edge is created using a biscuit cutter that is wavy. I don’t think it matters if you don’t have anything like that to use. Don’t know which cabbage leaf you grew up under, but it’s Self Raising flour Never heard of Self Rising Flour in over 50 years of baking Nor did my mother in almost 50 years before that. This Mc Bride comment could have been said in a more friendly way ! I’no neither english nor american, but it’s rather well known that both languages havea different way of spelling some words. Here it seems a nice place to find nice cooking, so even if someone would not write perfectly (which is not the case with raising/rising, since it’s qu question of country) there is another way of “correcting”… Anyway, thanjs a lot for this recipe, . I made those “pica ar y maen”, fantastic. Just a question : the “waving” all around the cakes, you make it I suppose with your fingers, before putting the cakes in the pan ? It’s a nice idea (or maybe traditional, I don’t know). Excuse-me for my very approximative english. I’m from Brittany. Above all : I can very hardly read what I’m writing, because the colour is a very light grey, and a small typographic size (maybe just 9 or 10). In the UK, it’s called self-RAISING. The recipe is from and by someone the UK. I understand it’s called self-RISING in the US amongst other places. I’ve also read there might be a slight difference in the two flours ingredients but not sure. I’ve read there’s added salt in self-RISING but none in self-RAISING flour which might affect the taste. and it was wonderful! I burned my first one so I had to bake them on the lowest setting but they came out perfect, just how I remember them! I will be making these often! I’ve always added 1/2 tsp of mixed spice, just like my mother used to do! Made these from your recipe. Being English we always called them girdle scones. They were really good. We put currants in the ones I had as a child but I have found good results with dried blueberries for a change. I was pleased to find this as I lost my mother’s recipe during our last move. My gran didn’t need one! Hi Kathleen, so happy you found the recipe! The idea of blueberries sounds lovely. I’m a huge fan of blueberries. I wonder if our grans would have loved that too! I imagine back in their day they didn’t even have blueberries like we do now! If you have time, try using dried cranberries. They’re also really delicious in the welsh cakes. I’m Welsh, maiden names Jones! i grew up on Welsh Cakes and still make a batch regularly as my family loves them too. I always add 1/2 tsp of mixed spice though as that is how my mother made them and they taste far nicer than ones without. Hi Georgina! Lovely to meet you! The mixed spice is always a nice addition. Glad you love Welsh cakes too! Can you use butter instead of margarine in the Welch Cakes? I am of Welsh descent. Mother made them regularly. They were cut thinner than pictured and were called Welsh cookies. Same ingredients. Thank you so much for the recipe, I had a welsh mother-in-law that did not like me because I am foreign, Dutch! So she refused to give me the recipe and now she has died so was a bit bereft as I thought no more welsh cakes! She will be turning over in her grave knowing I know have the secret! Many thanks and I did manage to love her to bits even though it was not reciprocal! Hi There, Graag gedan! I’m glad you found the recipe and hopefully it will be just as you remember them. I just moved back to the UK after living in Holland for 7 years so it’s very nice to see a Dutch foodie here! I’m really pleased to see this recipe, because I’m descended from several Welsh. My great-great grandmother Bessie Llawless Thomas cooked these as a taste from home! Thank you for this. I loved the Welsh Cakes! So easy and really delicious! Thank you so much for sharing the recipe! I will be making these all the time! So happy you enjoyed them Lorie! Oh wow I can’t believe I’ve came across this recipe. My nan use to make them a lot. I was given the recipe but got lost when we moved. She use to say it reminded her of home. I use to make them a lot when she passed away just so I can feel close her. I grew up eating Welsh Cakes and have made them often for my children (My grandpa’s name was Thomas Jones – hard to get more Welsh – not THAT Tom Jones). Never, ever heard of them served with butter. Hmmm. Hi Carole, Thomas Jones is certainly very Welsh!! My surname is Evans.. again, so Welsh! My grandmother always gave us these warm from the griddle and she used Welsh salted butter. I don´t live in Wales Wales now so I just use regular slightly salted butter. You must try with the butter!! I Too am Welsh, was born there in the 1940’s…family names…Evans, Thomas, Williams and LLewllyn…Love the culture and have made these cakes for decades. Thanks for the recipe so that I can give it to my daughters..I usually just make it from memory.. Happy Welsh cooking…..Have you tried Welsh tea bread?? ?dried fruit soaked in strong tea overnight…Look it up it’s on here somewhere. Hi Pam, so glad you like the recipe! My surname is Evans.. Pretty Welsh! The tea bread, are you talking of bara brith? 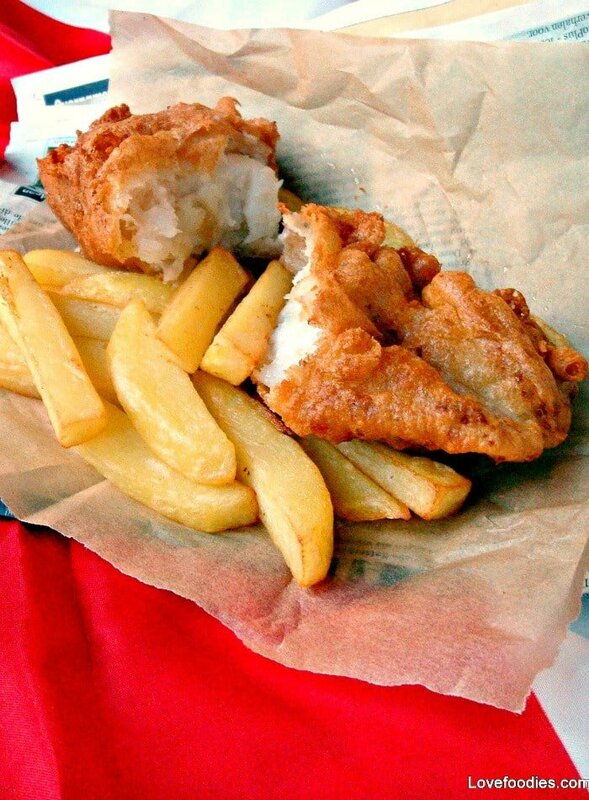 A slice of that with a spread of welsh salted butter would be perfect right now with a cup of tea! I have made Welsh Cakes for many years and when we camped I had to make sure I had the ingredients to make them. So they were made, rolled out using a tin of something, then cooked over the open camp fire. The children were waiting to eat them as soon as they came off of the fire usually holding the butter dish and plate ready to pile them up for eating. I too have a recipe from my grandmother who was from Kenfig Hill. When I visited there I bought a a all Welsh cookbook. The recipe it had added allspice…what a difference! But I can remember making them for my brother and I without it in a cast iron pan, we loved them. I have made sure each new generation has this heritage experience! I have been making Welsh cakes for the past 60 years.in fact made them last week.I make the ones with raisins but I also make them split and spread jam on them,usually raspberry jam.I have made them for so long that now my great grand children come looking for them. Thank you for sharing your recipes so that other people may have the pleasure that we have had for so many years. Hi Muriel! Aren’t Welsh Cakes a wonderful thing! They bring back so many lovely memories for me, and I’m so happy to hear you are also passing on your recipe to your grandchildren. Thanks very much for writing in and wishing you and your family a very lovely Christmas too! How much baking powder should I use with all purpose flour instead of self raising flour? Hi Ada, I would suggest about 2 teaspoons of Baking powder and increase the salt to 1/2 a teaspoon. Hope that helps! What could I subsitute for self-rising flour? For this recipe quantity, I would suggest using 2 1/2 teaspoons of baking powder and swap the Self raising flour for All purpose. You may taste a little hint of baking powder if you decide to swap the flour, so that is why I use self raising, to avoid any taste baking powder can often have. The Welsh Cakes will still be very nice, but it is something I want you to be aware of so you know, should you decide to swap the flour. Thank you so much for this recipe. My Welsh grandmother made these deliscious cakes. She just called them Griddle Cakes. I cannot wait to try these! Hi Debbie, I’m so glad you found the recipe! My grandmother also had a griddle, it was a round heavy cast iron one with a handle over the top, That’s how I always remember her making the Welsh Cakes!! Questions about the recipe. I’m unfamiliar with “rubbing” in the margarine. How do you do that? Also, how do you substitute the baking powder in for the self rising flour? Just use regular flour and add baking powder? I figured I could google it, but I’d rather get it from the source. 🙂 These look wonderful! Hi Susan, thanks for writing in. Firstly, for the baking powder, I would suggest using 2 1/2 teaspoons of it to All Purpose flour (sift it all together so it is well mixed). That ratio is a little lower than the ‘rule’ , but I often worry about the horrid taste you can sometimes get if you add too much!! I hope this helps and if you need any more help, please do shout up! Oh my goodness. Thank you so much for sharing this recipe. My grandmother was also from Wales and always made these for us. Can’t wait to make them for my family. Hi Jenny, I’m glad you found the recipe! I hope it will bring back lovely memories for you and your family enjoys them. Thanks very much for your comments. It makes me very happy!! Are they similar to singin’ hinnies? They seem to be about the same. yes indeed! Although Singin’ hinnies shouldn’t have any sugar in the recipe and Welsh Cakes have a little. But that seems to be the only difference, and of course the hinnies originate from the North of England! You’re very welcome Rojhin, happy cooking! These look wonderful. Are they about the same texture as a biscuit? Hi Cat, Thank you. I would say these are slightly denser than a biscuit (do you mean American biscuits ?) If you are meaning biscuit as in cookie, then these have a texture a little like an English scone but denser and not crunchy. I guess you could say it was like a ‘flattened’ scone! I hope that helps!! Yes, that answers my question. Thanks! Hi Dianne, they are very Welsh, (my grandmother was Welsh) so these are traditional ‘cakes’ which of course you would find in most tea rooms in Wales, UK. Please do have a go, they’re quick and easy to make and best eaten warm with a little blob of butter and or jam on the tops! Happy cooking! Thank you Marie! 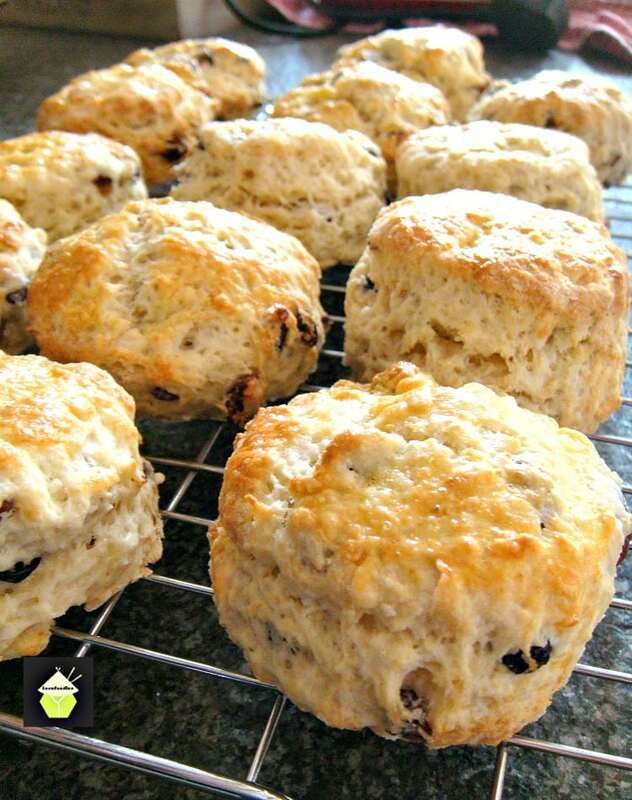 It certainly is a tried and tested good recipe from my late Welsh Grandmother, so I hope you will enjoy them with a nice cup of tea!